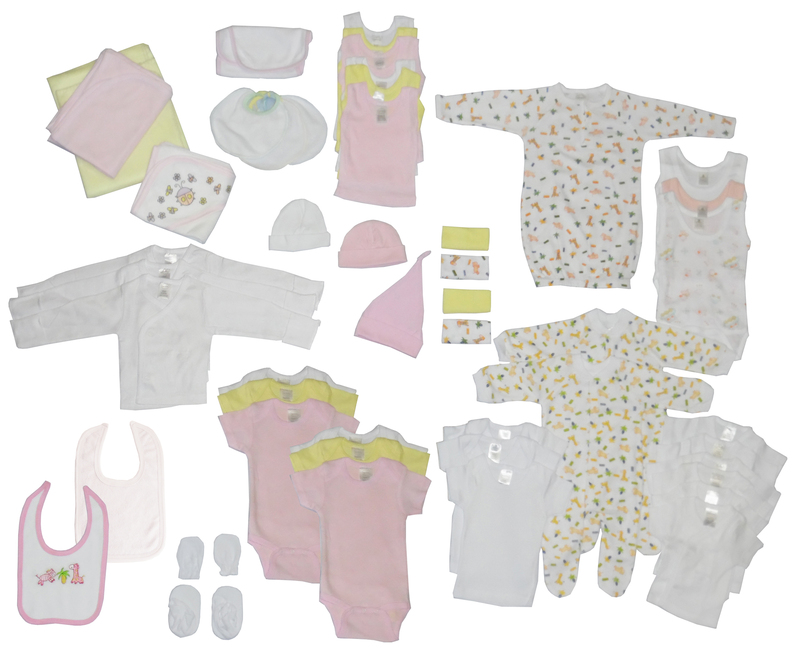 The Girls' 45-Piece Pink and White Baby-Starter Set Box is the perfect gift for any mother expecting a little girl. This Starter Set Box comes with a lot of those basic necessities for a newborn baby girl. Our baby gift boxes are filled with Newborn and small sizes which covers up to one year.